Landscaping: Who Needs Commercial Landscape Maintenance in Dallas? Who Needs Commercial Landscape Maintenance in Dallas? 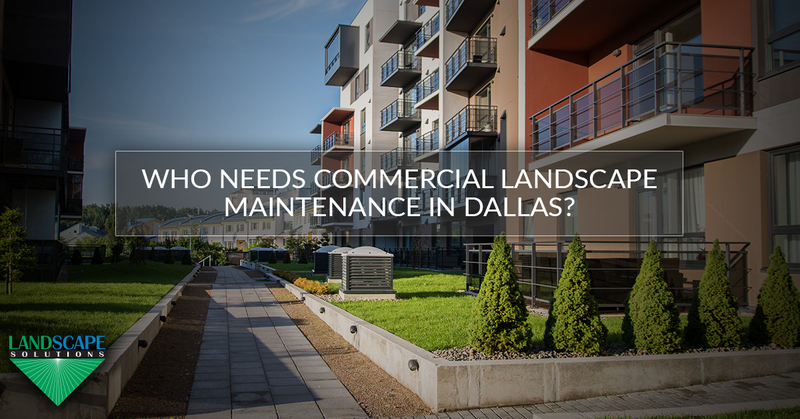 If you own commercial property in Dallas, you likely know how much maintenance and upkeep it takes to keep it looking great. Owners of small properties might consider taking on their own commercial landscape maintenance tasks, but the truth is that there is no property too big or small to take advantage of professional assistance with mowing, pruning, fertilizing, and other essential tasks. At Landscape Solutions, our name says it all — we provide the DFW area with Top-Rated Local® commercial landscaping solutions, and we would love to help you boost the curb appeal of your business. Contact us today to learn more about our services! When potential tenants visit your apartment complex for the first time, one of the first things they will notice is how well the grounds are maintained. This is often indicative of how well the units are maintained, and if your landscaping is anything less than pristine, you could lose renters to the complex down the road. 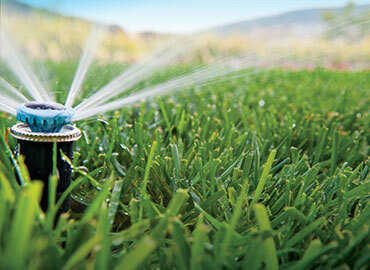 Hiring a commercial landscape maintenance team ensures your property looks incredible at all times. Those who own restaurants know how important visual aesthetics are to drawing diners in. This is why so much care is taken to ensure the lighting and interior design complement the theme of the establishment. Curb appeal is one thing that can certainly impact a restaurant’s profitability. As such, you want to be sure your landscaping is well pruned, and having intentional seasonal color incorporated into your exterior is a great way to make your restaurant shine. What’s more, overgrown shrubs can attract insects and rodents — two things you definitely don’t want to deal with in your restaurant. Many different types of people stay in hotels for a wide variety of reasons. Some guests are simply passing through town while on business, and others may use a hotel as their temporary residence while their home is being remodeled. 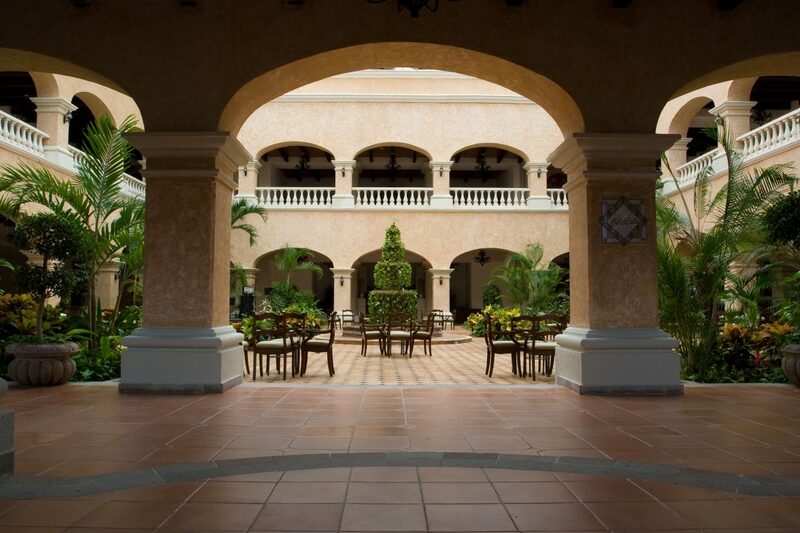 In any case, one thing is certain: your hotel is a home away from home for people, and the landscaping should make your guests feel right at home and welcome on your property. Our commercial landscaping solutions ensure this is the case all year long. Corporate office buildings are more than just multi-story complexes where people work from morning to night. They are where your most valued employees spend most of their day, and they are the place where potential clients and partners come to visit when they are interested in working with you. 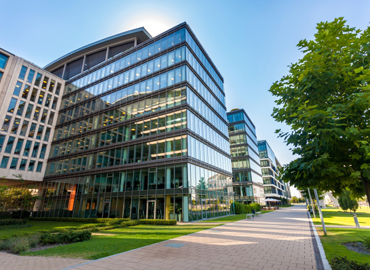 Well-pruned bushes, trees, and grasses not only make office buildings more beautiful and enjoyable for employees and visitors, but they also make them more safe and secure. Need Affordable Commercial Landscaping Solutions? 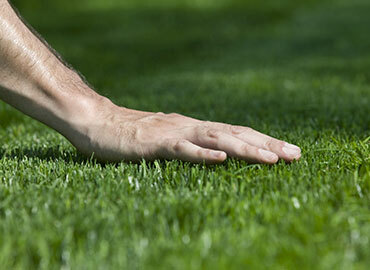 Are you ready to take the health of your landscaping and the appearance of your commercial property to the next level? The commercial landscape maintenance services we provide are ideal for virtually any type of business, and we would love to help you! Give Landscape Solutions a call at 833-403-1201 today, or reach out to us online now!